I shop cheap Release Men's Suits Men's Polos Men's Knit Wear Men's Hoodies Dresses Swimwear Bikini Beachwear Long Skirts Men's T-shirts Men's Shirts And a series of clothes. The web server used by Changedesignandmarketing.co.uk is run by Subrigo Corporation and is located in Los Angeles, USA. This web server runs 2 other websites, their language is mostly english. 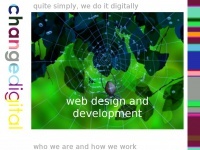 The websites of Changedesignandmarketing.co.uk are served by a Apache web server using the operating system Unix/Linux (Unix). The software used to serve the webpages was created by using the programming language PHP. XHTML 1.0 Transitional is used as markup language on the webpages. The website does not specify details about the inclusion of its content in search engines. For this reason the content will be included by search engines.